Rules that will get you to the top. Designed to offer the ultimate challenging and competitive experience that anyone can have whatever their tennis level. The fundamentals of the sport remain the same, but there are a few rules that ensure matches are fast, competitive, exciting and can be completed in a reasonable period of time. Two winning sets of 6 games each will allow the winner of the match to progress to the next level. In case of a tie (6-6 games) a set tie-break of 7 points will take place. In case of a tie-break (1-1 sets) there will be a match tie-break of 10 points. The player that reaches 10 points first will be the winner of the match that will progress to the next round. As soon as a game gets to deuce it's a Power Point. The winner of the Power Point is the winner of the current game. Two winning sets of 6 games each will allow the winning pair of the match to progress to the next round. In case of a tie (6-6 games) a set tie-break of 7 points will take place. In case of a tie-break (1-1 sets) there will be a match tie-break of 10 points. The pair that reaches 10 points first will be the winning pair of the match that will progress to the next round. As soon as a game gets to deuce it's a Power Point. The winning pair of the Power Point is the winner of the current game. Public registering to the tournaments accept that they participate to all sporting activities with absolute personal responsibility regarding their health and well-being and that they have previously made ​​all the necessary medical examinations. 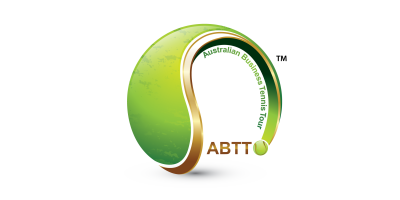 Also they confirm they waive all claims against Australian Business Tennis Tour Pty Ltd and the Tennis Clubs where the tournaments will take place, for any loss or damage that they may suffer or cause to third parties due to any cause during the event. Players must arrive at least 10 minutes before their match and present themselves at the Tournament stand. Players that do not present themselves at the Tournament stand within 20 minutes of the scheduled time of their match will be disqualified and their opponent will progress to the next round automatically. 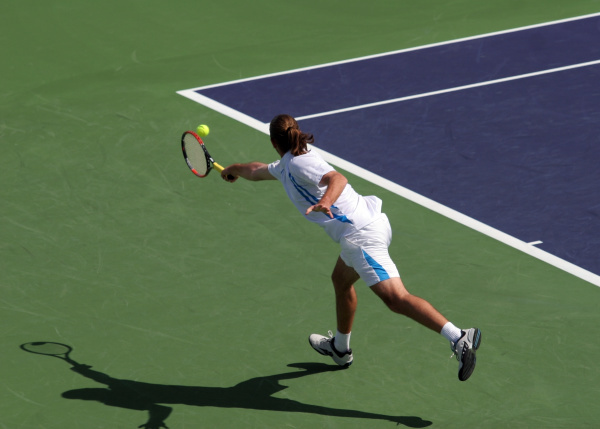 Doubles players are allowed to change their partner (in case their teammate is unable to play) as long as the substitute player has not played any other doubles match in the tournament and is not a member of another doubles team. Matches will be conducted daily from 16:00 and on weekends from 07:00 onwards. The organising committee has the right to change the dates of the tournaments and their relevant activities as it wishes and without prior notice in case of high participation or bad weather or any other event. In Doubles and Mixed Doubles no two active athletes shall be declared together.